With 40 games under his belt in the NHL, Bailey is leaning more towards becoming a graduating prospect but he absolutely belongs on this list. He undoubtedly possesses talent, putting up 81 points (43 goals, 38 assists) in 122 AHL games, but his ceiling is still unknown. Watching Bailey’s game, you would be hard pressed to think he wouldn’t excel in a third-line scoring role, like former Sabre Marcus Foligno but with more offensive upside. One big knock on Bailey is his lack of consistency when coming up to the NHL, which is something that was recently discussed at The Hockey Writers. Last season in the AHL, he scored 23 goals in 52 games at a clip of 18.3% – or 23 goals on 126 shots. In comparison, he scored only two times on 36 shots (5.6%) in 32 NHL games last season. Throughout his extended time with the Sabres last season, Bailey did show glimmers of hope but ultimately it was the lack of goal scoring that brought him down. If he wants to become a full-timer at the next level, he knows that putting in the extra effort to score a few more goals will make all the difference. One thing we have learned about Nicholas Baptiste is that he can skate for days. 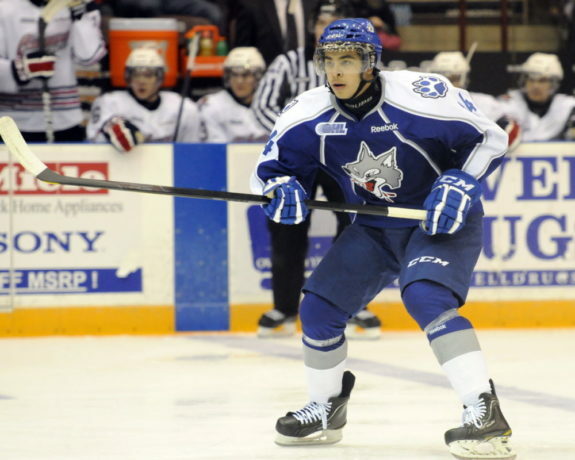 As his development from OHL star to AHL prospect to potential NHL talent progresses, Baptiste has continually put on a skating clinic wherever he is. Mixed in with that fancy skating ability is a wicked shot that is developing a nose for the net. Last season in 59 AHL games, Baptiste lit the lamp a team-high 25 times. He also made his NHL debut last season, scoring his first three career goals in 14 games. With his style of play centered around above-average skating ability, can Baptiste’s AHL scoring touch roll over to the NHL despite a smaller role? He may be able to bring something to the table that the franchise has been missing for some time. A very talented defender is set to work his way into Buffalo very soon. Guhle is a young defenseman with a boatload of raw talent. His incredible speed, great hands and on-ice smarts are often on display. 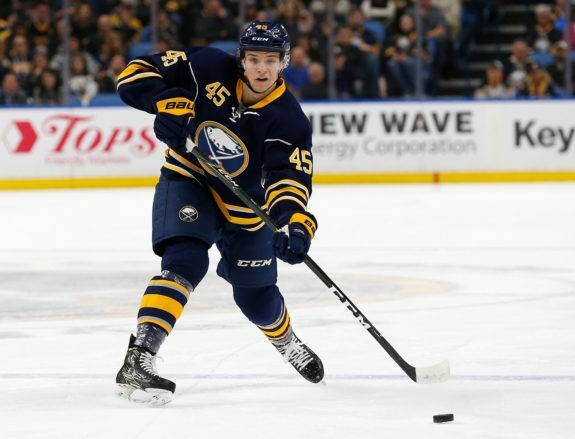 In the past two training camps he has participated in, Guhle has pushed the conversation in the direction of becoming a full-time NHL player sooner than later. He impressed so much that he became an emergency call-up due to injury last season. 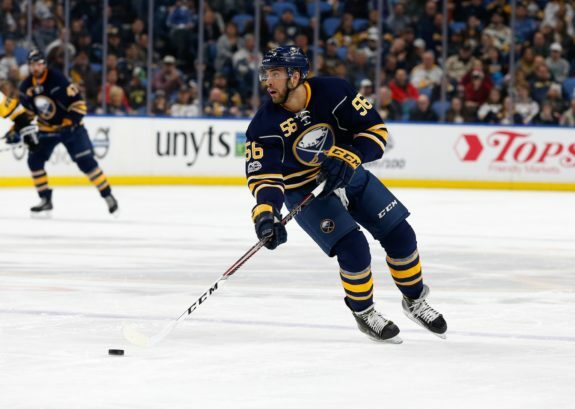 Many penciled him into the opening night lineup for this coming season, but the acquisitions of Victor Antipin, Nathan Beaulieu and Marco Scandella may put a damper on those plans for now. Jason Botterill is expected to put more emphasis on development, thanks to his Pittsburgh days, but how long can he hold off a charging Guhle? 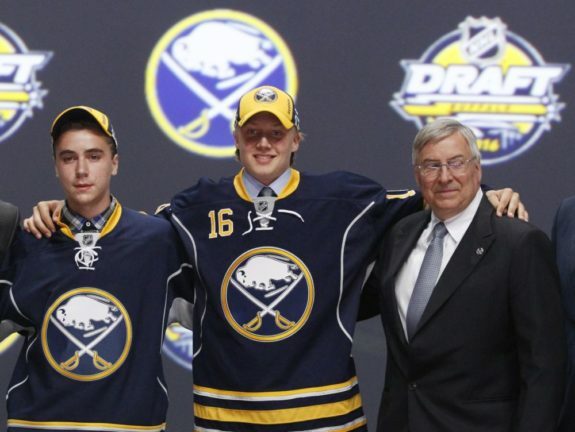 The offensive future of the franchise is all you need to know about Alex Nylander. He is a scoring force who has a wonderful set of hands and knows exactly how to use them. Nylander struggled on-and-off in his first professional season in the AHL, ending up with 28 points (10 goals, 18 assists) in 65 games. One knock on his game was his lack of size. Nylander was able to dazzle but once physicality showed up at his doorstep, all bets were off. Thankfully, for development’s sake, he appears to have received the message this offseason. Some think Nylander possesses the ability to break camp with the team but the main question remains: how will he respond now that he has added a little size and experience to his game? Does he need to be eased in with lesser competition in the AHL or can he step in with an O’Reilly/Okposo or Eichel/Reinhart and immediately thrive? Time will tell but there are little doubts about Nylander’s growing skill developing into a bigger and better player.